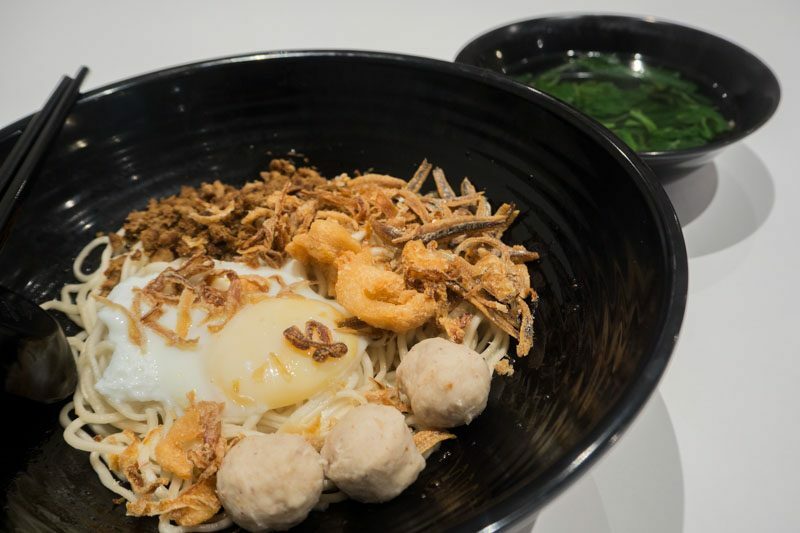 Walk a couple of steps down from Kin Kin Ban Mee and you’ll meet its newly opened rival, KL Traditional Chilli Ban Mee, along the same corridor of Macpherson laced with equally delicious food places. 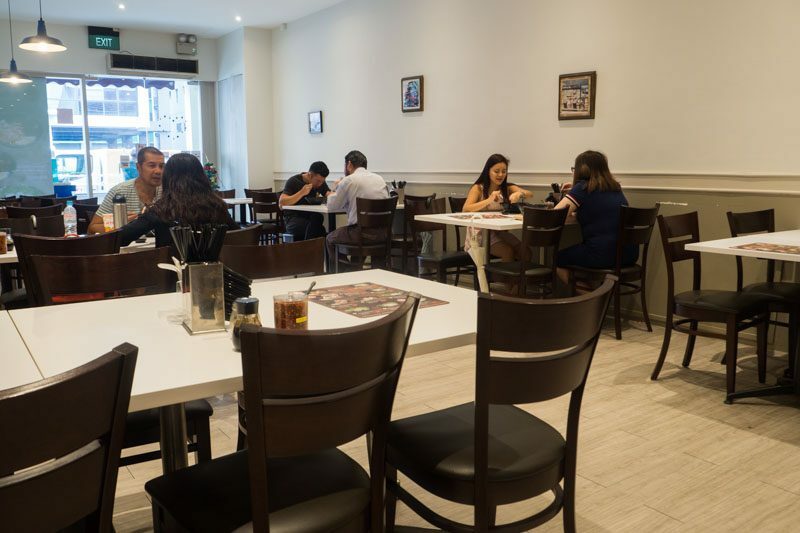 Clean walls, white tables and spaciousness define the interior of KL Traditional Chilli Ban Mee. You’d be greeted enthusiastically by its staffs before finding a seat that fills the sides of the ‘up-scaled’ noodle shop. 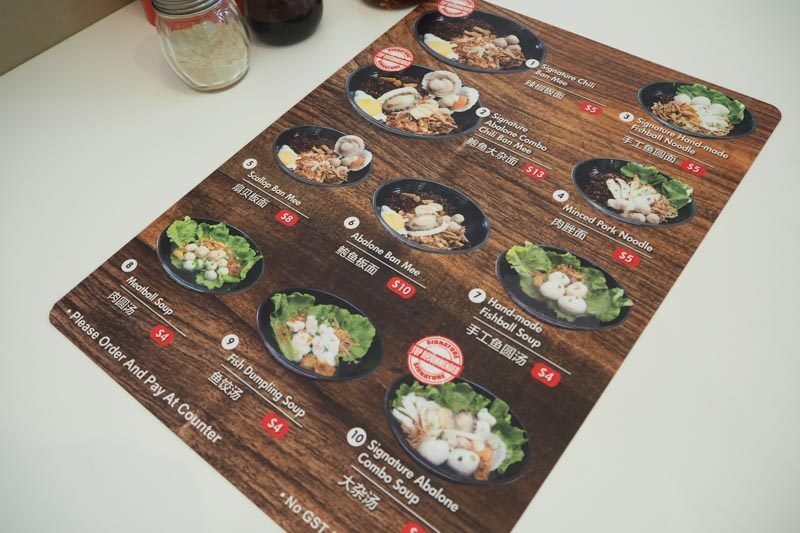 Up to 10 different items to choose from are listed on it’s menu, mainly its signature bowls of ban mee, minced pork noodle, hand-made fishball noodle and soup. 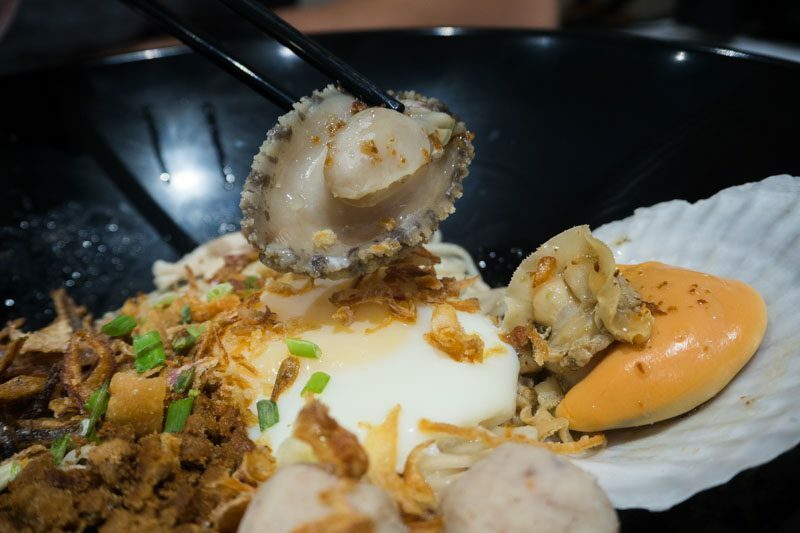 What drawn us down to the slightly inaccessible East side of the island was its Signature Abalone Combo Chilli Ban Mee — because these days, hawkers are all about adding premium ingredients to their dishes to entice the younger crowds. 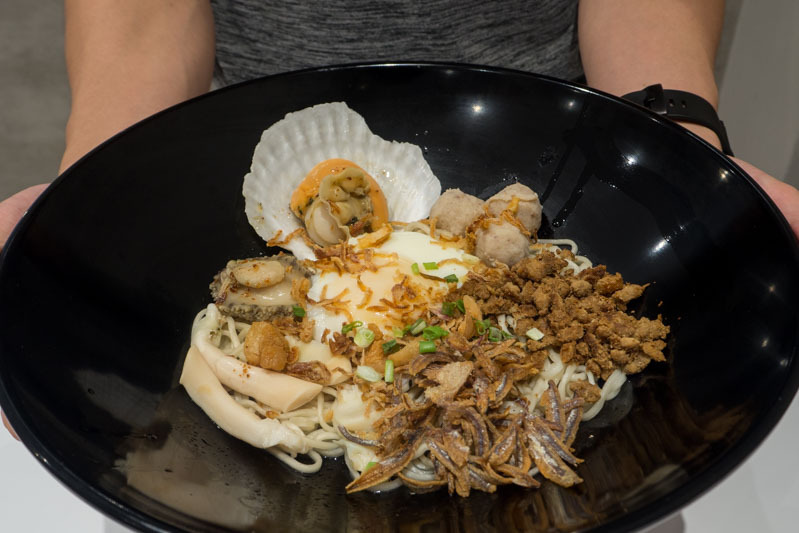 Unlike the picture shown on the menu, the bowl came with only one scallop, replaced with two bamboo clams instead. Nonetheless, it was filled to brim with lots of ingredients, including a abalone, and pacific clams, topped over with a copious amount of fried shallots and ikan bilis. The dry version came with a bowl of soup laden with tapioca leaves, which tasted heavenly and had a strong seafood umami taste that complemented the overall dish. Amidst all that ingredients, claiming the attention was an entire abalone peeking out, causing me to be a little bit too excited to bite into it. The fried pork lard is worth the mentioned too, it’s super crispy sans the reused oil taste, and the shop was generous with the amount thrown into the bowl. 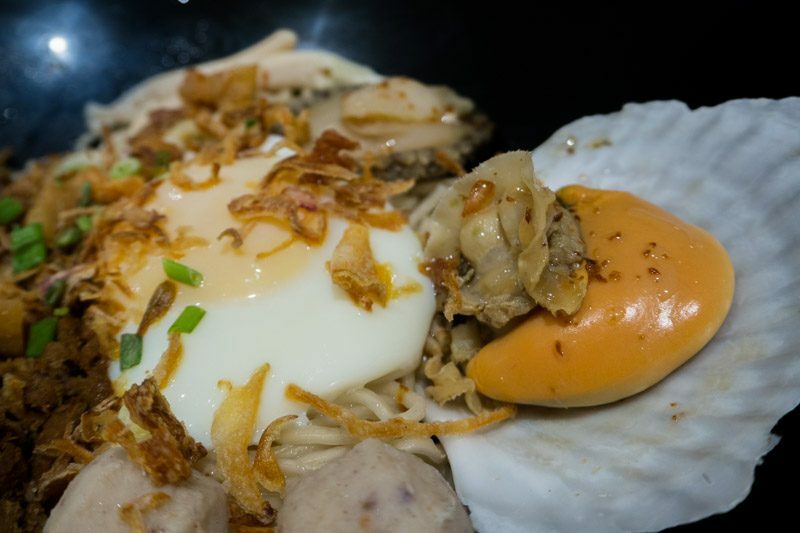 The ban mee came with a wobbly soft boiled egg too, to tie in all the flavours and make the noodle slightly richer. What’s visiting the stall without adding in its signature, red fiery chilli, which comes in five different levels of spiciness. 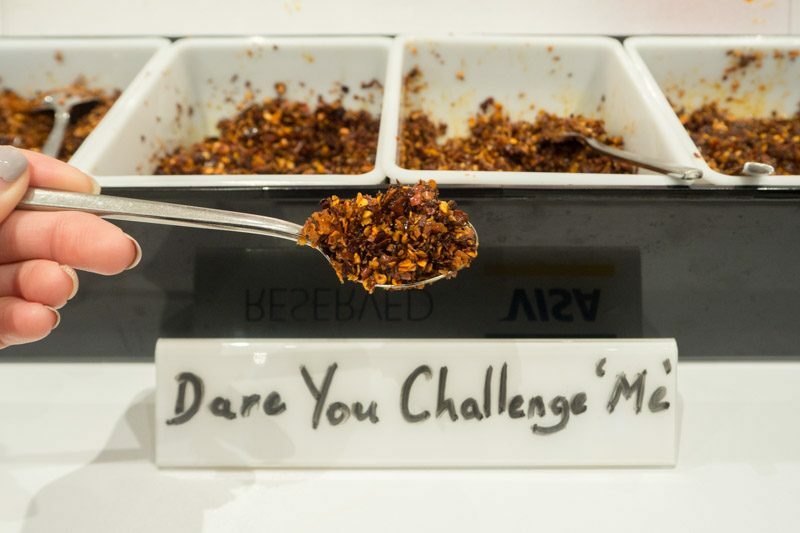 Set on all tables is the level three chilli. You could walk up to the counter to get the other levels and customise your noodle according to your heat tolerance, or challenge yourself to go for level five. The chilli packs a punch of heat, savoury with a hint of sweet aftertaste, adding a more rounded taste to the noodle. 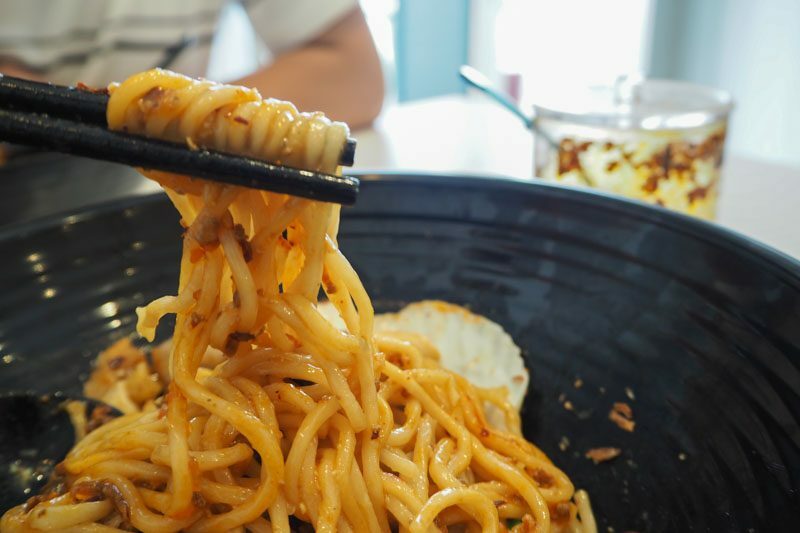 The ban mee is springy and laced with the marinated mince meat with each bite. Once you start, you won’t stop until the entire bowl is wiped out. Perhaps after having the abalone combo, the signature chilli ban mee seems slightly bare as compared to the heavily laden bowl of ingredients. Nonetheless, a hearty one that will be sure to fill you up during your lunch. Generously topped with ingredients, every mouth would be packed with balanced and all-rounded flavours. Yet another signature dish on its menu, it is said to be one of the favourites amongst their customers. 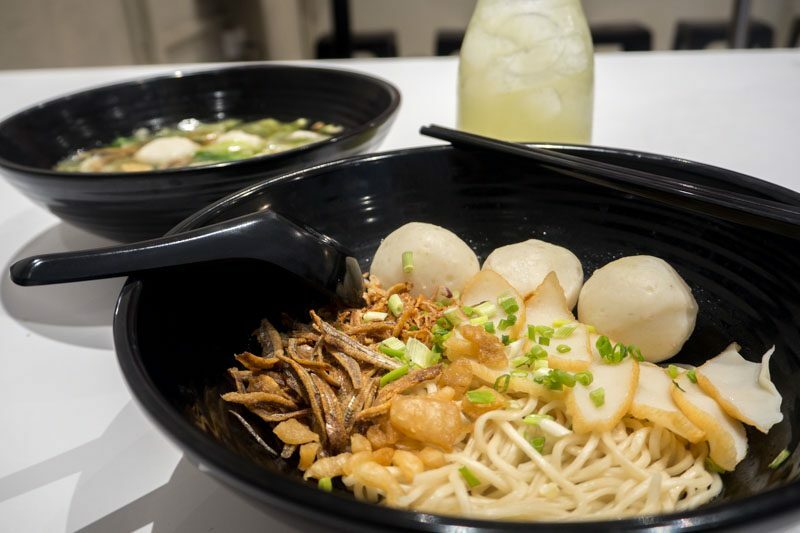 The fish ball is larger than what you’d get from a regular ones at the hawker centre, and adds a spring to the texture of the noodle. Chewy on the outside and slightly softer in the centre, the size of fish ball is definitely value-for-money. I’m a fan of its soup, and this one warms my heart instantly. If you’re visiting with a friend, you could order a bowl of its signature soup and share among each other. That said, I bet you could easily finish it up if you’re feeling more hungry than usual. 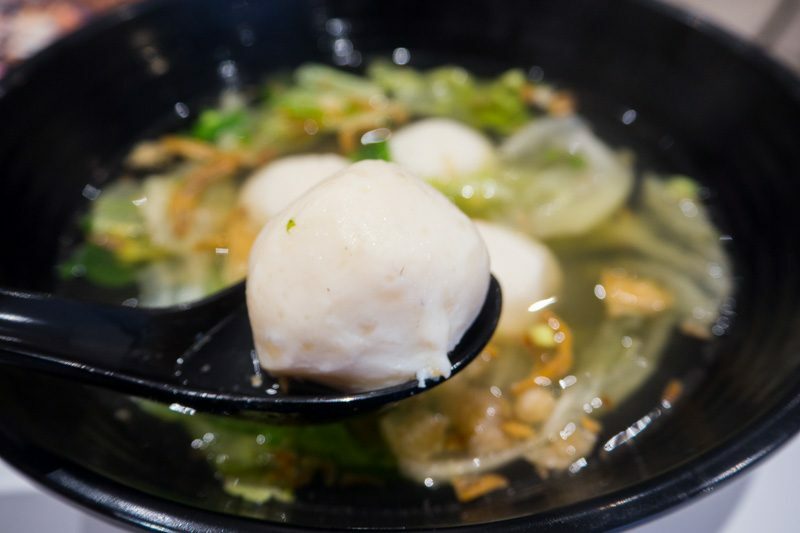 And if you’re afraid of being jelat from all the fish ball, you could opt for meatballs, fish dumplings or enjoy its signature abalone combo soup. 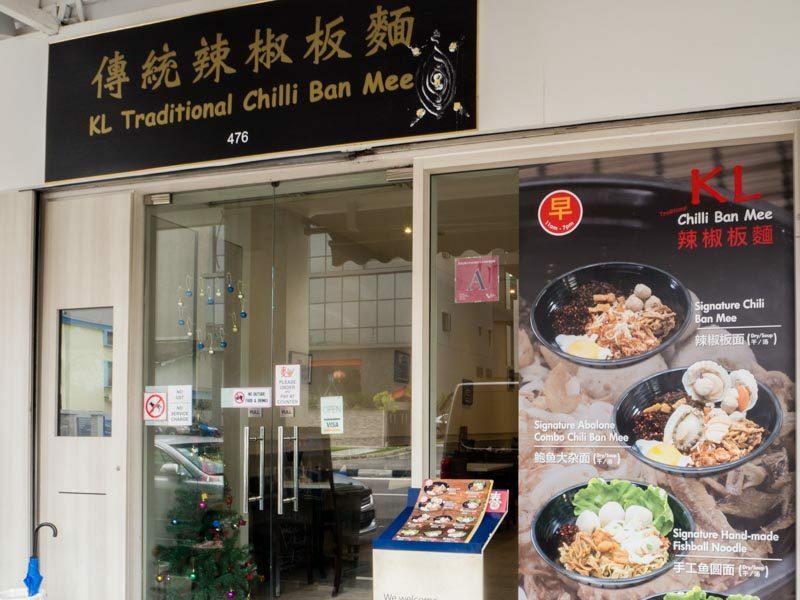 As with all noodle dishes at KL Traditional Chilli Ban Mee, you could choose to have it dry or soup, and opt between the three different noodle options of ban mee, mee pok or mee kia. Of which, the ban mee is obviously its best seller. 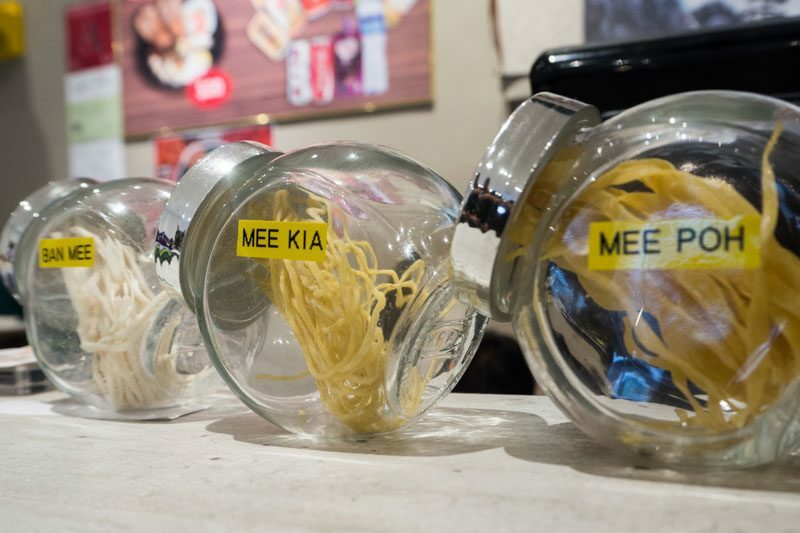 Snap pictures of the ban mee if you must, but do it fast as these starchy noodles tend to dry up and stick together when they start becoming cold. I’d head back for the Signature Abalone Combo Chilli Ban Mee, especially when it’s satisfying and scrumptious. If you’re wondering if it’s better than Kin Kin? You’ll have to come down to try it for yourself.